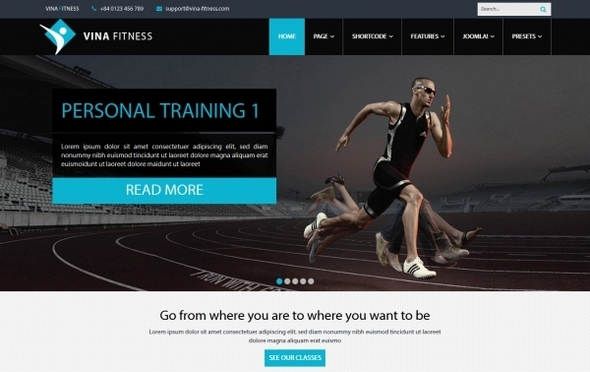 Vina Fitness is a Responsive Joomla! Template suitable for Health Clubs, Sport Clubs Gyms and Trainers. It is cross browser compatible, mobile ready so it will look great on smart phones, tablets aswell as laptops and desktop displays. 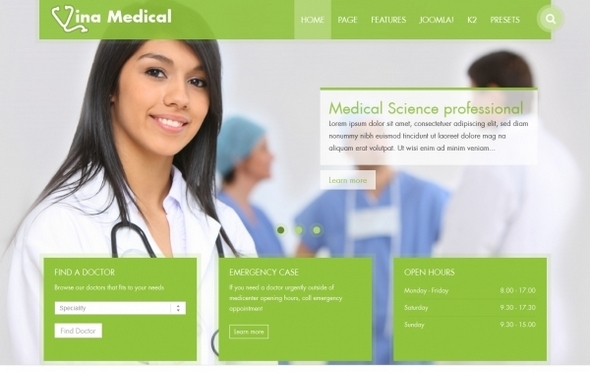 It comes with three presets, unlimited color styles and including the amazing Joomla Extensions. The template is very powerful yet easy to use and customize, whether you're a Joomla pro or a beginner with no coding skills. Discover the power of energy with this excellent Joomla template. Joining a gym and eating healthy food became a new modern trend in our lifestyle. People are looking for perfect gym or fitness clubs with high quality equipment to enjoy the time that they spent there. Create a perfect fitness or gym site and extend the content with healthy diet tips for your customers. Help your customers to find all info how to get in good shape and health focusing on regular exercise and healthy food. The template would be also perfect for personal trainers.